The majority of the data contained within the ‘England’s Immigrants’ database, over 55,000 of the almost 65,000 entries, has been extracted from records relating to the taxation of resident aliens within England between 1440 and 1525. This data, providing a wealth of information about England’s immigrant population across this period, has been taken from the surviving documentation relating to two particular types of taxes: the dedicated subsidies levied specifically on aliens at various times between 1440 and 1487; and the general lay subsidy granted to Henry VIII in 1523, in which aliens and natives were, at least in theory, taxed alongside each other. The records of these taxes have various strengths and weaknesses as historical sources, and the levels of detail provided by them vary considerably, both across the period and across the country. However they provide an unparalleled source for the study of England’s immigrant population across this period, and give historians of England a unique insight into the size and breadth of that population, on both a local and a national scale. Each county had its own quirks when it came to the assessment and collection procedures for the alien subsidies, and the documents that resulted. We have therefore provided summaries for each of the various counties of England, to give an idea of what can be expected from the records and the database. These have been grouped as follows: the North, the East Midlands, the West Midlands, the South-west, the South-east and East Anglia. The alien subsidies, a unique fiscal phenomenon in both English and European history, were a series of taxes levied upon first-generation immigrants during the second half of the fifteenth century. During the 1430s, a string of military and diplomatic setbacks in the war with France had seen a growth in tensions between the native population and foreigners living or trading in England. Parliament had been presented with a series of anti-alien petitions, and in 1436, the author of the treatise The Libelle of Englysche Polycye had advocated the imposition of massive restrictions on the freedoms of aliens within the realm. These concerns came to a head in the parliament of 1439-40, when actions were finally taken against what were seen by many as an often unwelcome and even potentially dangerous group within English society. Measures were first taken against the activities of foreign merchants trading in England, ostensibly designed to counter the feeling that the nation’s wealth was disappearing overseas. New laws prevented trade between foreign merchants on English soil, banned the shipment of coinage out of the realm (all trading profits had to be spent on English goods), and set up a system whereby all foreign merchants were required to register with English ‘hosts’, who were in turn required to help enforce the new laws. Alongside this, another act of that same Parliament also addressed the widely-held if largely unsubstantiated belief that aliens resident in England possessed greater wealth than native-born people, but were not being taxed proportionately. The final session of that Parliament, sitting in Reading in January and February 1440, agreed that a poll tax should be paid by all non-native born people residing in England over twelve years of age, payable at two different rates – ‘householders’ (generally artisans, tradesmen and other relatively settled people) were to pay 16d. each per year, while ‘non-householders’ (mainly servants, apprentices, agricultural and general labourers or other migrant workers) were to pay 6d. per year. Exemptions, at least at first, were relatively few. Welshmen were specifically exempt, as were anyone who had purchased letters of denization, alien women married to English or Welsh husbands, and members of religious orders (though not regular clergy). Alien wives of alien husbands were not explicitly exempt, but while they are often found recorded with their husbands in the returns, they were not generally charged. Assessment was to be conducted by the justices of the peace, who were to return the names of those liable to the Exchequer, which would then issue lists to the relevant sheriff, civic authorities or equivalent officials, ordering them to collect the tax. It was originally to be collected in two annual instalments, payable at Easter and Michaelmas, but in most areas these were soon combined into a single yearly payment, assessed and collected as and when the officials decided. The original grant was to run for three years, and in 1442 a second Parliamentary grant effectively extended this for a further two years. The rates applied, and the collection process, remained relatively unchanged, but exemptions were quickly broadened specifically to include both the Irish and the Channel Islanders, both of whom had protested successfully that, as subjects of the English king, they should not be liable. However, assessment and collection of the tax could not have lived up to Parliament’s expectations. Assessment of the first year of the 1440 grant was, with a few noticeable exceptions, generally good, but collection rates were less so, with only around half of those assessed actually paying. Assessment documents survive for most English counties (in series E 179 at The National Archives), and provide a rich source of information on the individuals assessed to pay, although the level of detail varied considerably from place to place. No specific instructions were given to local officials about what they should record, and thus while some officials included things like nationalities, places of origin or the occupations of individual taxpayers, some noted down nothing more than the names, and even then in such simple terms as ‘John Frenchman’ or ‘Hans Dutchman’. Nevertheless, these returns give a wealth of information about the geographical distribution of the alien population within counties (most 1440 returns contain each taxpayer’s place of residence), and differing levels of detail about nationality, occupations, gender and social status. Returns do not survive for all parts of England, but relatively complete figures for the numbers of individuals assessed and paying can be calculated using the enrolled accounts for the subsidy (series E 359 at The National Archives), which generally recorded not only the amounts of money received for each category of taxpayer but also the amounts unpaid. Unfortunately even this is not a complete picture: there is no evidence that the towns of Hull or Coventry were assessed at all, the figures for most of Lincolnshire do not survive, the Norfolk returns are hugely deficient, and the Lancashire return, rather implausibly, contains just five names! Nevertheless, a reasonably full picture of the alien taxpaying population across the country in 1440 can be compiled, showing that over 16,800 individuals were assessed in that year, roughly 6,700 householders and around 10,100 non-householders. However, from this high, both assessment and collection rates deteriorated rapidly. Fewer and fewer people were assessed across the first five years of this tax, with even fewer actually paying (the only notable exception being London), and the administration ground almost to a halt, so much so that in April 1446 the Exchequer had to issue new writs to 20 counties, ordering the then sheriffs to make the assessments which their predecessors had failed to complete. It was not until 1449 that another subsidy was granted, this time to last for four years, with single annual payments due at Michaelmas. The basic rates remained unchanged, but two new categories were added. Specific groups of alien merchants, named in the statute (mainly various groups of Italians and Germans) were now to pay 6s. 8d. per head, while clerks of alien merchants were to pay 20d., with all merchants who had been in the country for more than six weeks at the time of assessment now being liable to pay. In addition, the exemptions were also extended, with anyone born ‘under the king’s allegiance’ in Normandy, Gascony and Guyenne now being exempted from payment. Record survival from this tax is often patchy; in some counties, assessments or inquests survive for a number of payments, while in others no documents survive at all. However, the diligence of the assessors continued to decline, and only a fraction of the numbers assessed in 1440 were now appearing in the records. For instance, while 684 people had been assessed in Northumberland in 1440, mostly Scots, the officials in 1452 seemingly found just 37. This picture was repeated across almost the whole country, with only London assessing the tax with any rigour, although even here the numbers had fallen from 1,835 in 1440 to 926 in 1449. In 1453, following the expiration of the 1449 tax, the subsidy was again re-granted, this time to last for the remainder of Henry VI’s life. The nominal payment dates reverted back to Easter and Michaelmas, but as before, in most places the tax continued to be administered on an annual basis. The basic payment rates remained largely unchanged, although the alien merchants, brokers, factors and attorneys added in 1449 were now to pay much more, with householders paying 40s. and non-householders 20s. Initial collection of the tax was delayed, seemingly because the duke of York’s protectorate administration felt unable or unwilling to authorise the levy during the king’s illness, and it was not until Henry recovered that assessment began. In November 1454, writs were issued ordering the collection not only of the two payments due in 1455, but also the four payments hitherto uncollected, and the tax was then collected each year until Henry was deposed by Edward IV in 1461. In 1463 Edward ordered that collection should resume, under the pretext that the tax was explicitly for the ‘natural life’ of Henry VI, and while Henry may no longer have been king, he was still very much alive. Again, writs were issued demanding retrospective collection of all the outstanding payments due since Edward’s accession, six payments in all, and collection continued up to and including the payment due at Easter 1471, after which, following Henry’s death on 22 May, authority for the grant ceased and collection ended. However, by this time, income from the tax had almost completely dried up. Many county officials, particularly in the west midlands, had started simply sending in nil returns, while by the final years of the tax, collection in some counties (Northumberland, Cumberland, and possibly elsewhere) had been entirely farmed out to private individuals, who paid a fixed fee to the Crown for the right to assess and collect the tax themselves, in the hope of keeping any excess. Elsewhere, returns were often copied from one year to the next, or simply made up by officials unwilling to carry out the procedures. Numbers of people recorded, and the income from the tax, continued to fall, and while most of the money actually assessed was due from the alien merchants in the large cities, few if any actually paid. In Wiltshire, 477 people had been assessed to pay the tax in 1440; the return for 1471 contained just a single name. Relatively few parliamentary taxes were raised from the lay population during the second half of Edward IV’s reign, and it was not until February 1483 that another alien subsidy was granted. This time the amounts levied were much higher than before, with the standard charge on alien householders and non-householders rising to 6s. 8d. and 2s. respectively, while an interesting new category was added, with holders of brewing houses now paying 20s. each. Householders who were merchants or factors from certain regions were to pay 40s., while non-householders in the same categories were to pay 20s. Spanish, Breton and German merchants were specifically exempt, and this concession was later extended to Venetians, Genoans, Florentines and Luccans. 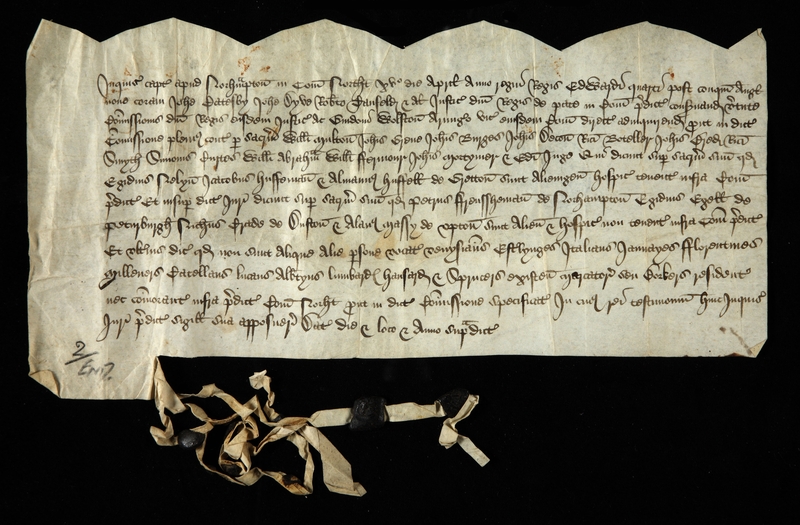 Initial orders for collection were not issued until 27 April 1483, after Edward IV’s death and in the name of the young Edward V, but collection was disrupted, presumably by the political turmoil, and Richard III issued further orders on 1 August 1483. In some places this tax seems to have been assessed and collected with a thoroughness not seen since 1440, and a number of extensive and detailed returns survive, most notably for London. The subsidy was only levied for a single year, but in 1487 another grant was made to Henry VII, charged at the same rates, and with the same exceptions (although the exemptions for Spanish, Breton and German merchants were not extended to the Italians). However, very few details for that tax survive. The 1487 subsidy was to prove the final occasion on which England’s alien population was targeted by specific and separate parliamentary taxation. For the rest of Henry VII’s reign, aliens were presumably assessed as appropriate towards traditional fifteenths and tenths alongside their native neighbours, but in 1512 Parliament granted Henry VIII a new type of subsidy, a graduated poll tax, with each person paying a set sum dependent upon their income. Alien residents, although assessed on the same terms as natives, were to pay at double the rates, and when the 1514 subsidy grant, a graduated income tax, added a poll tax element on all aliens over 15 years of age who did not otherwise meet the taxation threshold, the assessment procedures were effectively set for all future subsidies granted throughout the Tudor and Stuart periods. Income thresholds for all taxpayers varied greatly, and for most of these taxes were set so high that very few individuals, native or otherwise, were liable to pay (the poll tax element was seemingly only sporadically enforced). However, for the subsidy granted in 1523, Parliament set the thresholds relatively low, thus bringing a large proportion of the population into the taxation net. When this was coupled with subsequent orders for local officials once again to start returning nominal lists to the Exchequer, it resulted in the compilation of the most detailed and extensive tax records for England since those of the fourteenth-century poll taxes. As with the alien subsidies, survival rates of the assessment documents, and the condition of those which do survive, vary considerably across the country, as does the level of detail recorded, and particularly for aliens. Some assessors were remarkably assiduous in recording which individuals were paying at alien rates, and even where those people came from, while in other areas the lack of such individuals in the returns suggests that they were either ignored completely or were silently included alongside all other taxpayers, with only their surnames present to give any potential clues of their origins. The England’s Immigrants database contains details from these returns for a number of selected counties and towns (taking details from the most complete surviving assessment for each place): Cornwall, Devon, Dorset and Somerset in the south-west; Norfolk, Suffolk and Essex in East Anglia; Yorkshire, Lincolnshire, Rutland, and the towns and cities of Canterbury, Winchester, Southampton, Bristol, Oxford, Reading and Coventry. Unfortunately no returns survive for London. While individuals in the early alien subsidy returns can be linked to names in other sources from that period, particularly those taking the oath of allegiance in 1436, individuals from these 1520s returns can also be linked to other records from the Tudor period, such as the Westminster denization roll of 1544, and the equally detailed but sadly less complete returns for the next comprehensive Tudor subsidy, levied between 1543 and 1545.